Have you ever wondered if a sonic screwdriver could really work? How Cybermen make little Cybermen? Or where the toilets are on the Tardis? ‘Doctor Who’ arrived on British television screens in 1963. Since then, across light-years and through millennia, the journeys of the Time Lord have shown us alien worlds, strange life-forms, futuristic technology and mind-bending cosmic phenomenon. Viewers cowered terrified of Daleks, were amazed with the wonders of time travel and sped through black holes into other universes and new dimensions. The breadth and imagination of the Doctor’s adventures have made the show one of science fiction’s truly monumental success stories. 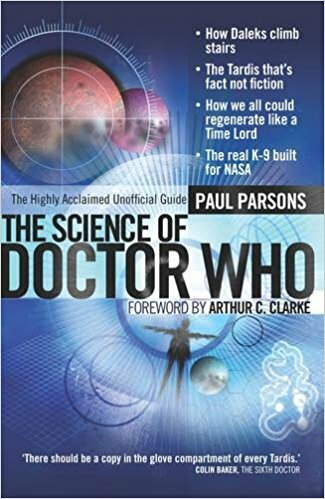 Paul Parsons explains the scientific reality behind the fiction in this highly acclaimed unofficial guide.